Who porked up my Lean Cuisine? 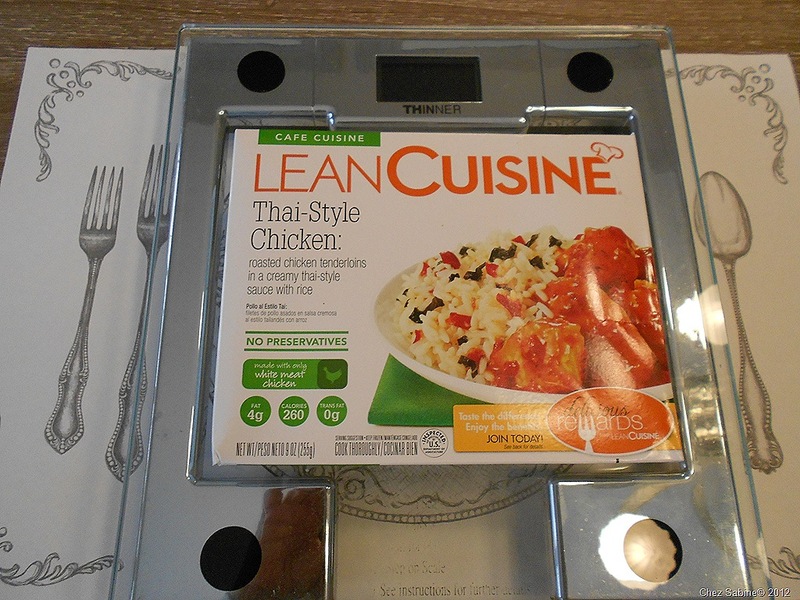 Wouldn’t you think that if the folks at Lean Cuisine (Nestle) were going to retool the recipe of one of its meals that they would ratchet the caloric and fat numbers down and not up? 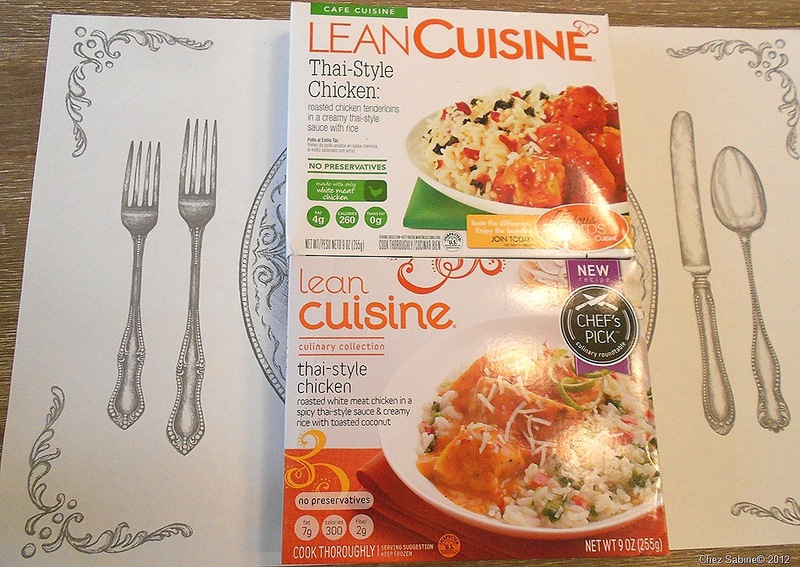 Original Lean Cuisine Thai-Style Chicken on top and the same meal with added fat and calories and new name on the bottom. Put your sunglasses on because those boxes are shiny. There are a couple of these frozen meals that I keep in the freezer for the occasional quickie lunch. My favorite is the Café Cuisine Thai-Style Chicken. I squirt a bunch of sriracha sauce on it, and the combination of the creamy rice and sauce brings to mind a Thai risotto. It weighs in at 4 fat grams (1 gram saturated), 260 calories, 35 carb grams and 21 grams of protein. Not a bad lunch. It’s pretty hard to find a quick 260-calorie lunch that tastes this good. Now, it’s even more difficult. I grabbed a few the other day and noticed that they no longer were Café Cuisine, but now they were the new Chef’s Pick Culinary Roundtable version. La dee da. Seems the chefs got their little collective brains together and came up with a brilliant idea. Color me out of the Chef’s Pick loop but I totally miss the point. And I’m a little miffed because I didn’t notice the new and unimproved version until I grabbed one from my freezer the other day and glanced at the nutrition info on the front. The Hefty Cuisine now is packed with 7 fat grams (2 saturated fat grams because the chefs say so), 300 calories, 40 carb grams and 20 grams of protein. And they snatched away 1 protein gram. 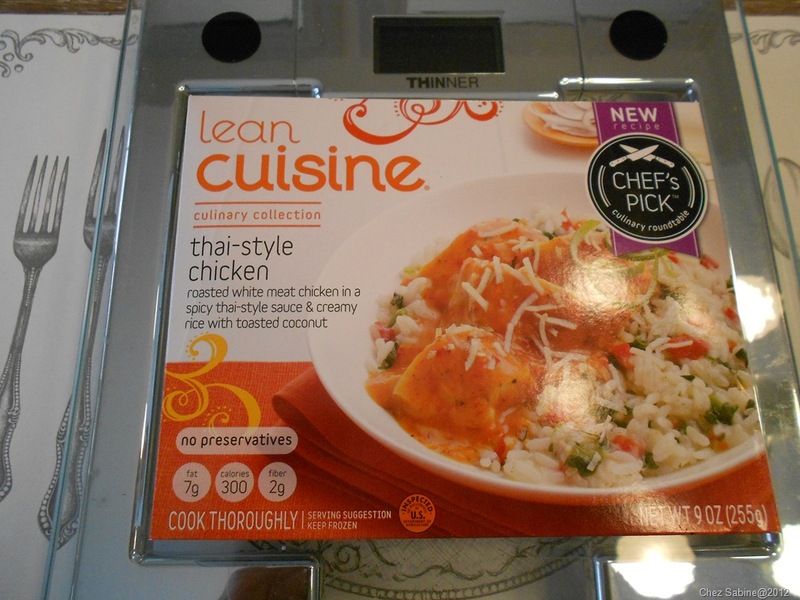 I’d like less fat and fewer calories in my Lean Cuisine, please, chef. The flavors of the old, lean version and the new fatty version are identical with the exception that the Chef’s Pick has a few bits of shredded coconut on the top. Other than that, the ingredients list is pretty much the same, too. Keep your coconut, and give me back my lean Lean Cuisine, please. Don’t you hate when they do that?